BIRN calls on all relevant institutions, especially the Serbian Interior Ministry and the Prosecutor’s Office, to react urgently to the latest attacks on our editor Slobodan Georgiev. A day after BIRN published photographs pointing to a connection between Andrej Vucic, the brother of the Serbian President, and Zvonko Veselinovic, a notorious businessman from Kosovo, a campaign started on social networks, attacking and threatening both Georgiev and the investigative portals BIRN, CINS and KRIK. A video recording, available on Twitter from last night, describes Georgiev as a “foreign mercenary”, a “traitor” and as an associate of Albanian and Kosovo politicians. The footage uses cover pages of the pro-government tabloid Informer, which refer to the “lucrative jobs” BIRN has done for foreign donors. Such slurs have been disproven in court. The same clip also targets CINS and KRIK media outlets. The background tone of the recording is the alarm siren used during the NATO bombing of Serbia in 1999. The release of the video has attracted numerous comments that contained insults and threats, some of which have been removed in the meantime. As has happened before, instead of the dealing with the results and evidence presented by investigative media centres, raising awareness about threats to the rule of law, the fight against the corruption and the work of institutions, attention is being directed to editors and journalists who then become targets of attacks. This spread of lies and misinformation is creating additional pressure on all journalists who want to work independently and professionally and critically report on the activities of the authorities. It is making them targets. BIRN would remind the public and the relevant institutions that its editorial team has been almost constantly targeted by pro-regime media and ruling party bots on social networks since 2014. We point out also that the attacks on Georgiev and BIRN have been reported to the authorities many times – without any concrete action being taken. A series of articles by BIRN Serbia reporters, investigating illegal construction at Mt Golija and the illegal engagement of ruling party officials at the Cuprija Medical School, have been nominated for the annual Prize for Investigative Journalism. Jelena Veljkovic and Ana Curic were nominated for the annual investigative journalism award in the category of online media. 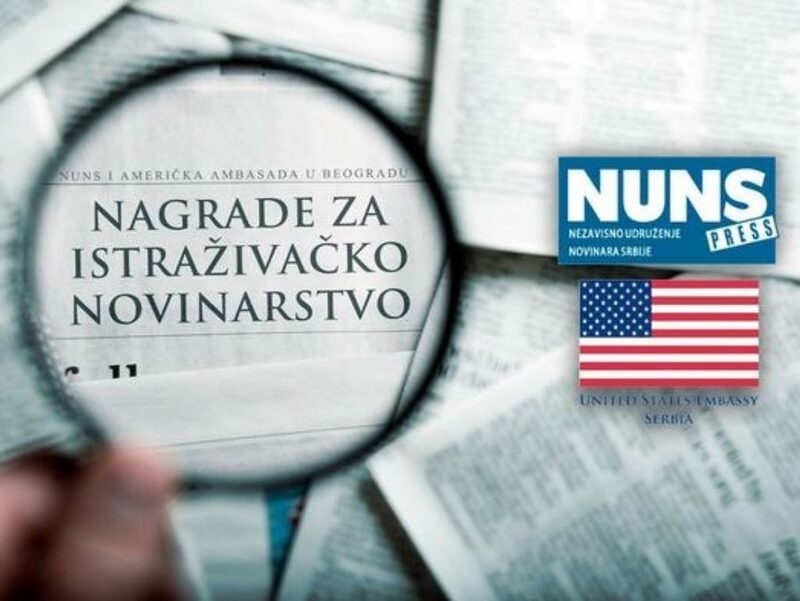 The awards are given out by the Independent Association of Journalists in Serbia with the support of the US embassy in Belgrade. Veljkovic has been nominated for the series of research articles on the illegal construction on Mt Golija, behind which stands Zarko Veselinovic, brother of the controversial businessman from northern Kosovo, Zvonko Veselinovic. Curic was nominated for the series of articles on the illegal engagement of Serbian Progressive Party officials at the Medical School in Cuprija. Apart from BIRN, in the category of online media, the Crime and Corruption Reporting Network and the portal Juzne vesti are also on the shortlist. The awards ceremony will be held on May 7 at 6pm at the Faculty of Dramatic Arts in Belgrade. BIRN Serbia, the Slavko Curuvija Foundation and the Independent Journalism Association of Serbia (IJAS) have launched the ‘Dr Spin’ campaign on control of the media in Serbia as part of ‘Public Money for Public Interest’ project. ‘Dr Spin’ is a series of ten animated episodes that give the answer to an important question – what does every dictator need to know if he or she wants to suppress the freedom of the media? In the first ‘lesson’, the character of Dr Spin, who was created by Ilir Gasi, explains why it’s better to have subservient rather than independent media. New episodes will be posted online every Tuesday on Dr Spin’s Facebook, Twitter and YouTube accounts. The episodes will also be broadcast on cable TV N1, as well as on local RTV Sabac and TV Forum from Prijepolje. 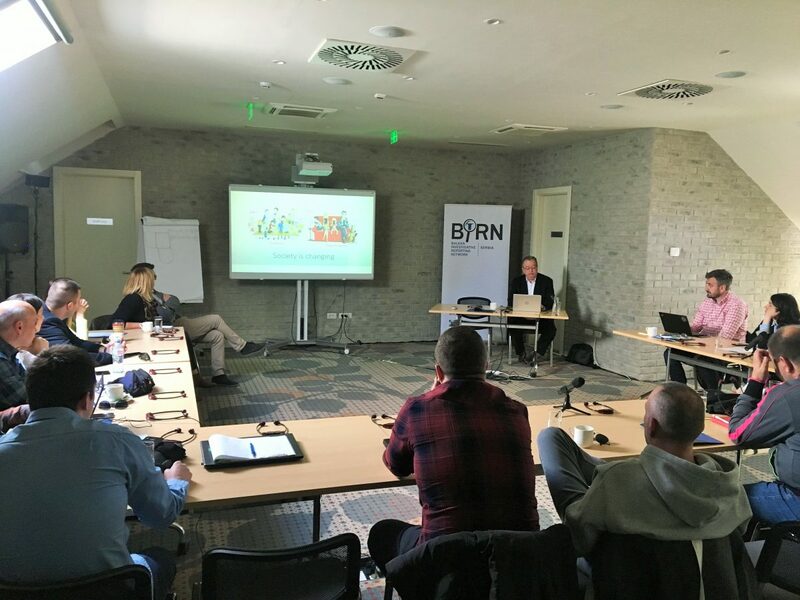 BIRN Serbia organised a two-day training course on media and security in the digital environment for online journalists and editors on April 1 and 2 in Belgrade. Participants learned how to overcome security challenges and risks, and got introduced to digital tools that can help them in their work. 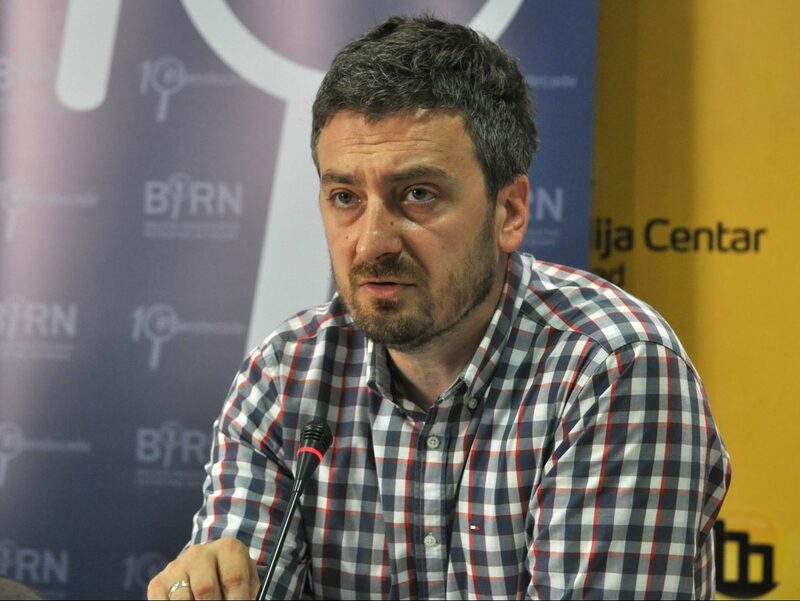 During the first day, Bojan Elek from the Belgrade Centre for Security Policy presented information on the security situation in Serbia, as well as potential sources for researching security which could be helpful to journalists. After that, Drew Sullivan and Pavla Holcova from the Organized Crime and Corruption Reporting Project shared tips and tricks on how to evaluate and overcome the security risks that journalists face. On the second day, Andy Black, a digital specialist, gave insights into how online media can survive in the digital jungle. 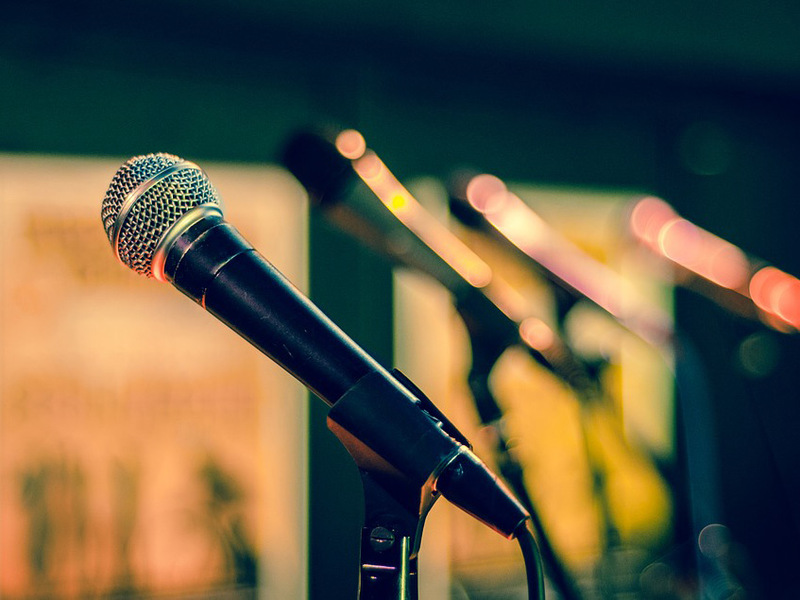 He presented to journalists and editors a series of digital tools to help them listen to and improve communication with their audience, as well as to raise the visibility of their content. The project aims to strengthen a participatory culture in Serbia and empower civil society groups to get people more involved in advocacy work. The project is designed to address the lack of capacities in civil society organizations, CSOs, to undertake successful advocacy efforts, their lack of cooperation with public authorities at all levels, and citizens’ lack of motivation to join and trust CSO advocacy actions. By building skills, encouraging citizens’ engagement and improving advocacy programs, the project hopes to contribute to the strengthening of a democratic society. The initiative is intended to support CSOs in Serbia to test, evaluate and scale their advocacy initiatives in a more strategic way. Belgrade Fund for Political Excellence (BFPE) and the Balkan Investigative Reporting Network (BIRN). 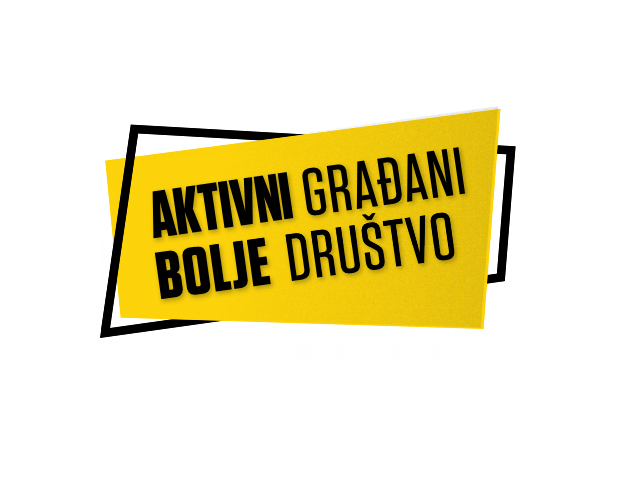 New project aims to strengthen a participatory culture in Serbia and empower civil society groups to get people more involved in advocacy work. BIRN Serbia and its partners are starting a new three-year project, Civil Society Advocates: Through Partnership Towards Democratic Development in Serbia, which aims to to strengthen a participatory political culture in Serbia and credible democratic processes. The project will be implemented by BIRN Serbia in partnership with Belgrade Open School (BOS) and the Belgrade Fund for Political Excellence (BFPE). It will be supported by USAID. At the moment there is an open call for CSOs in Serbia to be part of the project and get project support from BIRN, BOS and BFP. BIRN Serbia is conducting media ownership monitoring for the second time in order to reveal relevant trends in ownership concentration, enabling the public to make more educated choices as media consumers. BIRN Serbia is conducting media ownership monitoring for the second time in Serbia in order to reveal relevant trends in ownership concentration, enabling the public to make more educated choices as media consumers. Ideally, greater awareness will result in regulatory countermeasures in the medium term. The overall objective is to foster freedom of information and media pluralism while defending the diversity of opinions through differentiated media ownership. The Media Ownership Monitor (MOM) is a standardised instrument for research and publication, creating and enhancing transparency of national mass media ownership. Ownership shares of media outlets and the respective market shares of their products can be used as indicators of media pluralism in each target country. Collecting data and updating and classifying them is critical for raising political awareness of this problem, initiating debate and eventually establishing a legal framework to enhance control of media concentration. The results of MOM can help strengthen the media literacy of all citizens; their user behaviour is changed when they know – or at least can know – who is behind a TV or radio station, a newspaper or internet portal. Since its inception in 2003, BFPE has contributed to democratic transformation and European integration of the region of Southeast Europe. Striving to improve the knowledge and professional capacity of relevant actors for their responsible participation in political and social life. Belgrade Open School is a nonprofit, educational, civil society organisation founded in 1993. BOS vision is a better society based on freedom, knowledge, and innovation. A new law on financial support to families with children (which was adopted in 2017 and came into force in 2018) has been creating confusion among citizens of Serbia. While the government claims its policies are intended to increase birth rates, pregnant women and new mothers across Serbia are dissatisfied with low incomes during their absence from work. A new way of calculating maternity benefits leaves women confused and with no clear information about how much money they can expect while pregnant or after giving birth. To inform Serbian citizens so they can exercise their rights in relation to maternity leave and state financial aid. To develop a digital tool that calculates maternity and pregnancy leave compensation in order to better inform the Serbian public.